Oracle LED illuminated wheel rings will give your ride a truly unique look! Nothing will make your ride look futuristic (or as fast) as these TRON-inspired LED light strips. These wheel rings were designed to fit around the brake rotors of your vehicle and the ring illuminates the barrel of the rim with High Grade LEDs. The wheel rings will fit vehicles with up to 13.5" diameter rotors but if your are a bit bigger, there is an extension kit available. 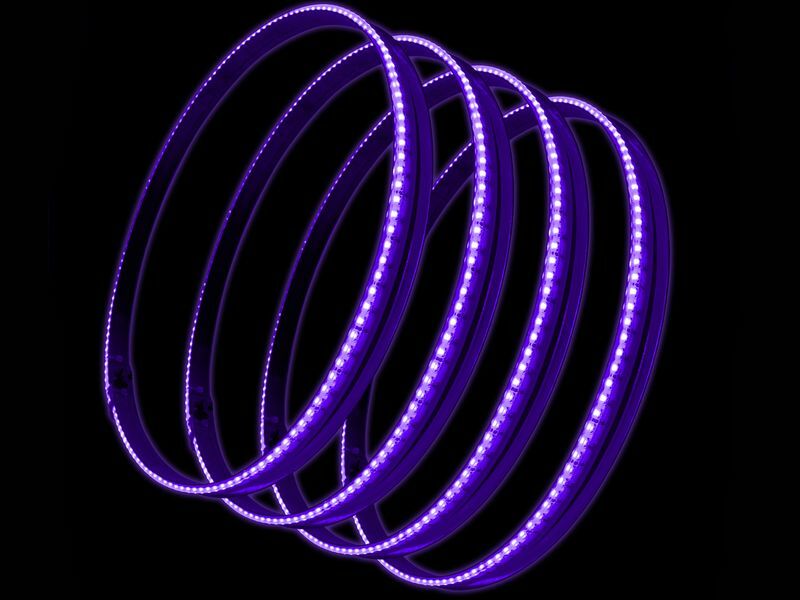 Oracle offers the LED wheel rings in 8 different solid colors and the ever popular colorSHIFT. All mounting hardware and an illuminated rocker switch are included with each kit and installation is easy using the included instructions. Order your Oracle LED illuminated wheel rings and be the first one one on your block with this unique look! LED illuminated wheels rings from Oracle come backed by a one year warranty. Installation is easy and Oracle includes all the mounting hardware you will need along with detailed instructions. Please be sure to measure the diameter of your brake rotors to ensure proper fitment. If you have any questions, please feel free to give us a call.